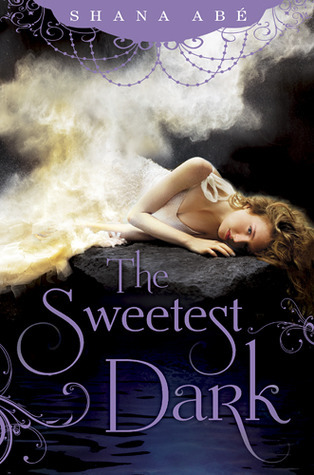 The Sweetest Dark is a historical ... paranormal read? Fantasy? I am not completely sure- it seems to blur the lines of both. Either way it is an engaging and entertaining start to a new young adult series. The story follows Lora on the road to discover who and what she is and is becoming. Lora has had a very rough life and that is apparent in her personality and mannerisms. When Lora finds herself invited on full scholarship to a girl's school, she is surprised and ready to escape her old life. Lora is a character that you can root for, and although both Lora and readers know nothing of her past, Lora is a strong enough character to stand on her own and to become what she is destined to be. What is that "thing"? Well, I am not telling! I will say that fans of series like Firelight and Stardust will enjoy this series for the paranormal and fantasy elements. The time period will also entertain fans of shows like Downton Abbey. (I LOVE this time period!) The author has a unique and lyrical voice in this novel. The words are smooth, flowing, and are beautiful to read. Each sentences has been poured over with care- this book really is a work of art for how it is written. I found myself stopping a few times and thinking "man, this book is just so... pretty!" The Sweetest Dark is an entertaining start to a new series- I am thankful that The Deepest Night will be out in August (it is waiting for me on my Kindle as we speak!). This was an engaging read and I can't wait to read more- that ending- ugh! I need to know what happens next! I like it when a book has a little bit of everything. I also really liked Stardust, so I'm hoping to read this book soon :) And such a pretty cover! I really enjoyed this book too-very different. I'm really looking forward to the sequel, which I have waiting for my too!